Indeed, Davaoenos palates have become more sophisticated and attuned to the complex flavors of mainstream global dishes as many Davaoenos are now able of traveling to different parts of the world either for business or leisure. 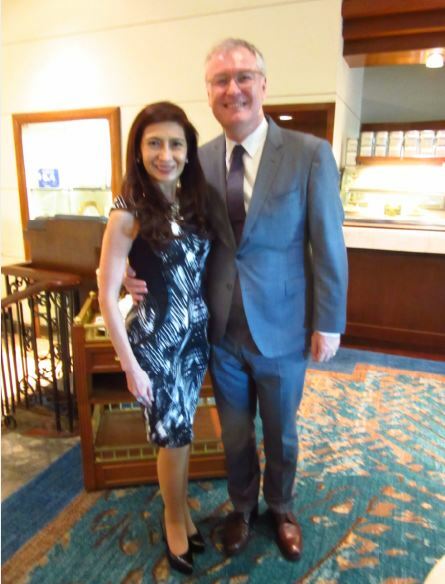 Their culinary exposure and experience on the global table have made them wonderfully poised and attuned to cuisines that Asia and the West have to offer. And in Davao City, it is Marco Polo Davao that has always been the growing force in creating the awareness and appreciation for global cuisine among food lovers right here in the city. 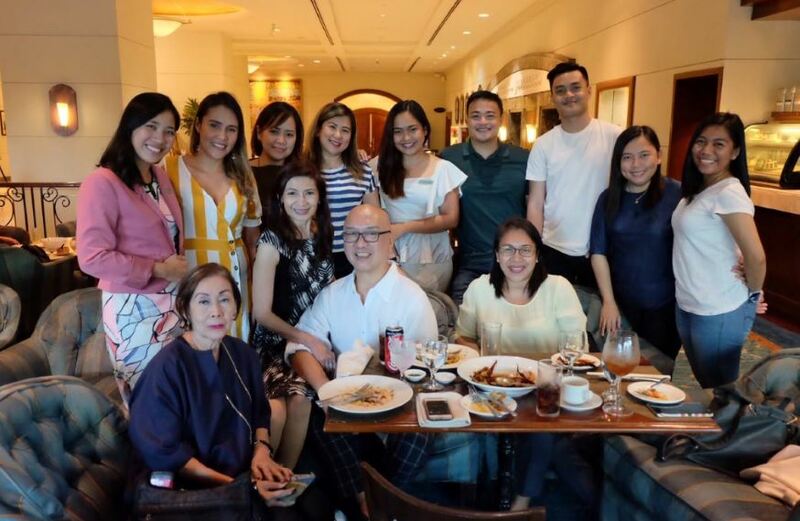 Last March 1, 2019, Marco Polo Davao’s Restaurants, Bar and Events Manager Rene Gargallo welcomed Davao’s lifestyle writers and influencers to the newly carpeted Lobby Lounge for the special culinary preview of the hotel’s new delightful offerings. 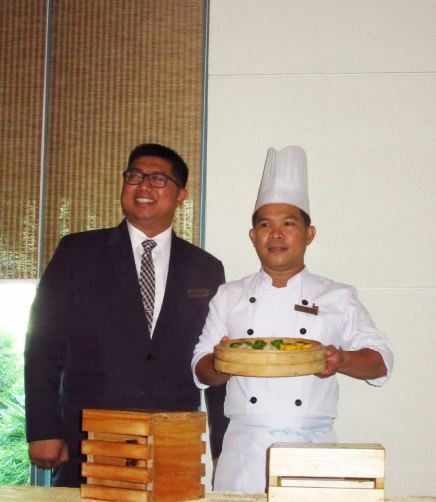 “We are delighted to unveil Marco Polo Davao’s signature dishes for our three restaurants as we continue our dedicated job to be the destination for a true culinary adventure in this part of Mindanao,” said the always smiling and charming Exec. Chef Alex Destriza. “Cafe Marco, the hotel’s all-day Western, Filipino and Asian dining venue, introduces Gambas al Ajillo as its new signature dish which will be added on the buffet spread. Gambas al Ajillo is a popular, classic Spanish prawn dish with its strong garlic, chili and olive oil flavors. 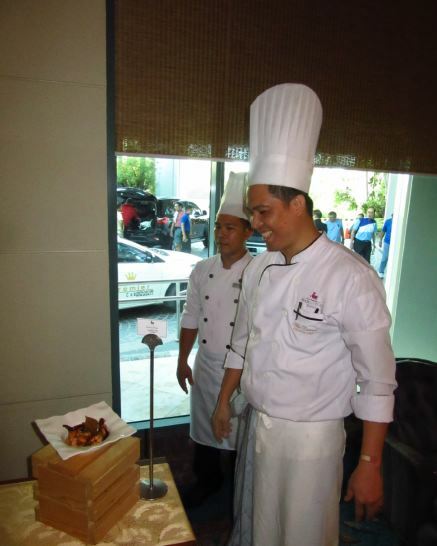 It is one Spanish dish which has been on the tip of Filipino food lovers for generations now,” Chef Alex informed the media representatives. “The Lotus Court, the most popular and celebrated Cantonese Restaurant in Davao City, will take you to another level of Oriental gastronomic experience as it introduces its new signature Dimsum Trio of Spinach Dumpling, Xiao Long Bao, and Century Egg Siomai. I guarantee you that the in-demand Xiao Long Bao of the Lotus Court is the best tasting one you’ll ever find in the City,” the shy and China-trained Ilonggo chef Neil proudly stated. 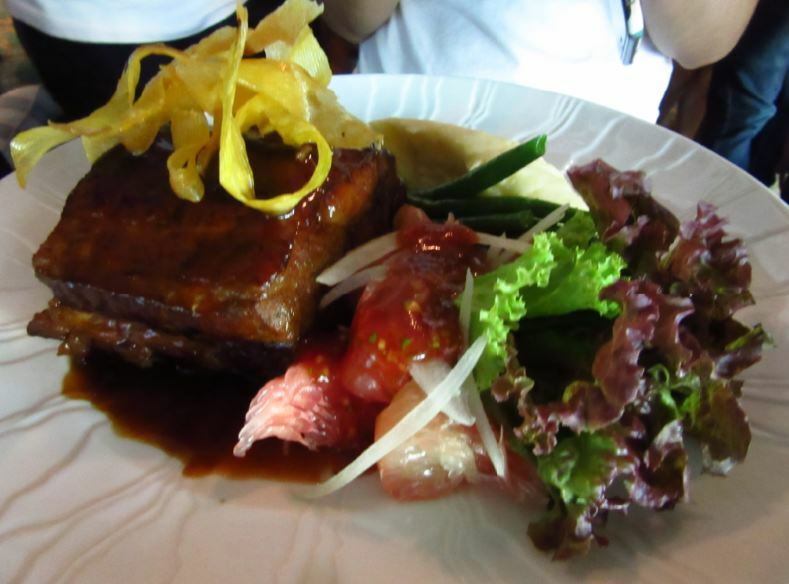 “Served with mashed potato, buttered green beans, pomelo salad and topped with sweet banana crisps, the Polo Bistro’s Baby Back Ribs signature dish is a must try for carnivorous diners. It is truly one mouthwatering dish,” promoted the original Curva Girl, Pearl Peralta-Maclang, who is as delightful to encounter as the delicious culinary offerings of Marco Polo Davao. So if you’re still undecided on where to go for your favorite Sunday family lunch or dinner, head straight to Marco Polo Davao’s Cafe Marco, the Lotus Court or Polo Bistro. It’s definitely the hub of a satisfying gastronomic experience in Davao City.